Jeff graduated from University of Maryland, College Park with a BS in Kinesiology. He continued his education at Marymount University where he obtained his Doctorate in Physical therapy in 2017. Jeff was trained in using the Maitland manual therapy approach and specializes in joint mobilizations. Jeff treats all types of orthopedic injuries, but has an interest in the thoracic and lumbar spine. 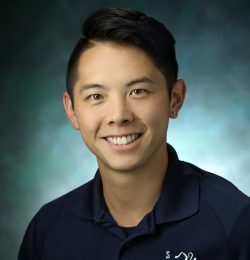 As an avid volleyball player and martial artist, Jeff enjoys working with performance athletes, developing an individualized and unique plan of care specific to the patient’s activities. He believes in empowering his patients through exercise and activity to help athletes return to sport uninhibited and prophylactic prevention of further injury.